Couples like to thank their friends and family for making it to the wedding in Italy with specialy thought out favours to keep the whole wedding ideas and wedding decor themed and reflect the style they’ve decided suits them and their choice of Italian wedding venue. You’ve chosen a destination wedding in a beautiful setting so use the things that are there surrounding you to tie all the wedding design together to make a really subtle impact create a label using the colours around you. Favours are always appreciated, who doesn’t like to feel that they’ve been tought about? Individual bottles of Limoncello look very pretty and fresh with a hand made label with the couples’ names and wedding date on and an invitation to ‘Drink me’ or maybe just ‘Salute’ ‘ E viva gli sposi’ ‘ Benvenuto’. 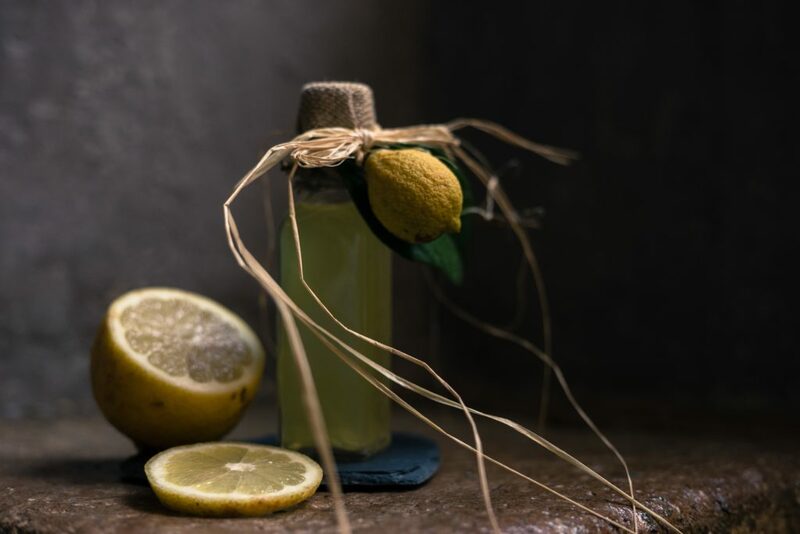 As your wedding planner we’ll help you put all this together writing out the lables and tying them on with your guests names so that the favours are also place names we can even make the limoncello for you ourselves from our own fruit. You might like your guests to find the favours on the table looking pretty and matching your table settings or you might like the limoncello chilled and served at a certain moment for toasting a speech either way it’s a really good idea for a wedding favour. It’s been a beautiful warm afternoon and everyone is looking for their place at table, limoncello bottles are lined up next to each place waiting for your guests to sit down and enjoy the evening as the shadows lengthen accross the grass and the evening breezes carry the happy conversation of this much awaited moment. “Limoncello,how sweet! what a lovely idea, I’m keeping mine to enjoy later, no maybe not everyone else seems to be sitting down and opening theirs while we wait for the newly weds to make their big entrance.